Helen Rambles On: Bumble & Bumble Surf Spray - Reviewed! 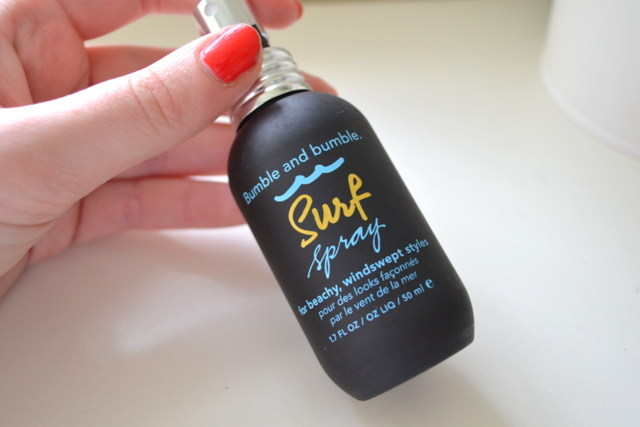 Bumble & Bumble Surf Spray - Reviewed! I'm pretty basic when it comes to haircare, I think this is mainly due to the fact that my hair is thin and flat and I don't feel I can do that much with it. I recently tried the Toni & Guy Sea Salt Spray (review) and fell in love with the world of salt sprays so of course I had to try the infamous Bumble & Bumble offering. I decided to get the small 50 ml size to start with to see if I got along with it. Lets just say that this little bottle and I have become very good friends. When I want to wear my hair down I a few squirts all over my hair and rub my fingers through and it adds so much more volume to my hair and gives a great messy hair look without making my hair feel crispy. There isn't much of a scent to this which I like, one of the best things about this is that it doesn't soak the hair like I found the Toni & Guy version does. It takes seconds to use and the best thing about this is that if by mid day my hair is looking flat again I just rub my fingers through my hair again and it holds to volume even without applying anymore product. Even though my hair isn't curly I still find this give great results to my flat fine hair look thicker. It also makes the layers in my hair look more obvious in a good way. This isn't the cheapest of hair product but it is definitely the best sea salt spray i've try and I can definitely see why so many people love it. 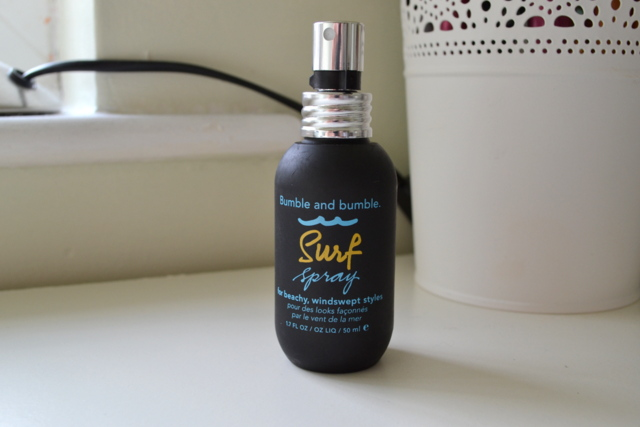 Bumble & Bumble Surf Spray retails for £9.50/50ml or £21.50/125ml. Have you tried this? What is your favourite hair product for adding texture and volume? Revlon Cherries In The Snow Lipstick - Reviewed! Haul | Boots, Origins, Clinique, MUA etc.